I’m often asked what it’s like to have seven kids. 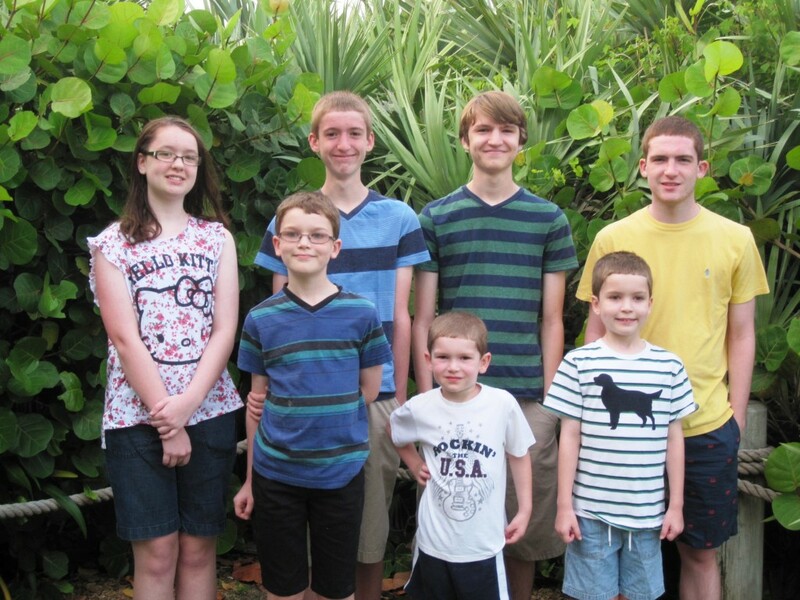 I never thought I’d have seven kids but now I can’t imagine life any other way. Each one of them is incredibly important to me and my wife and there are no words to describe the fulfillment they bring to this world. But then there are people. People generally don’t like what is not normal. They don’t think that anyone, including themselves, should go against the grain of normalcy, the normalcy that’s been defined through years of worldly consistency. And anyone having more than 2.2 kids is not considered normal. Yes, people think we’re …well, weird. The actual question being asked is different. It’s more about, “how could you do such a thing?” “Do you realize what you’ve done?” “How could you possibly populate this over-populated planet with more resource-consumers?” Furrowed brows and creased foreheads are usually present. Horror (well not quite horror but extreme displeasure) is evident in each question. “Are you aware of what causes this?”, “Don’t you own a TV?”, “Aren’t your kids neglected?” There’s a seemingly long drawn-out disappointment in every pre-drawn conclusion. My wife has learned to field these types of questions quite well; she just laughs or shrugs her shoulders and smiles. She’s a real-life angel. To be honest, there are some well-wishers (usually those with many little offspring themselves) who find joy in someone else to relate to. I’m confident that nobody intends to belittle us. But they do; they can’t help it. Now let me tell you about the cool side of all this. I cannot imagine life without each and every one of my kids. They are without a doubt the best thing that has ever happened to me and my wife and EACH of them holds that title. Our kids are our legacy. They have the have the opportunity to inspire those whom we could not inspire, to reach those we will never meet. They are the pinnacle of the Peek future!